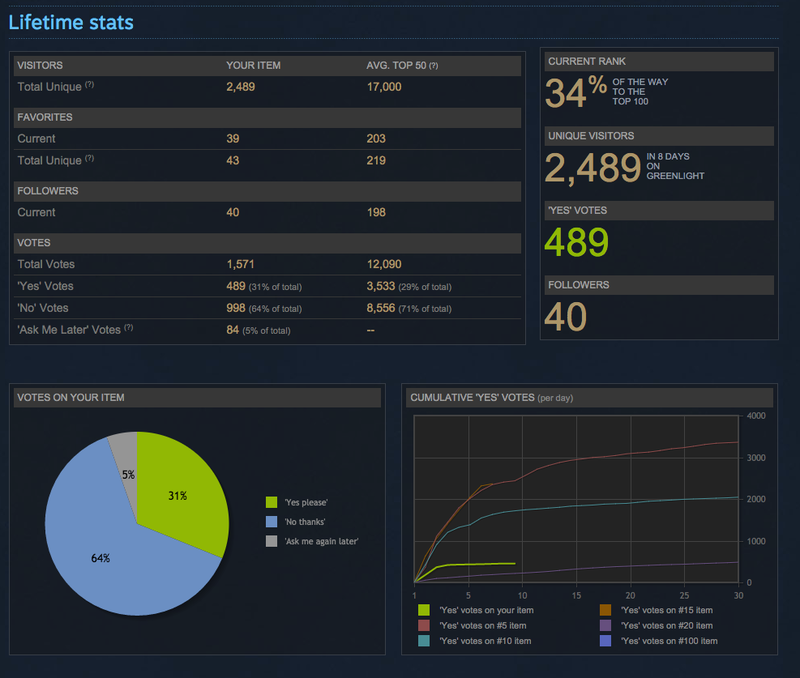 We are at 34% on Steam Greenlight, however we aren’t getting traffic through voting queues and being advertised on the greenlight new games section. So we have been trying to get some more press coverage and tweeting, all doing as much marketing as we can. This entry was posted in Dev News.